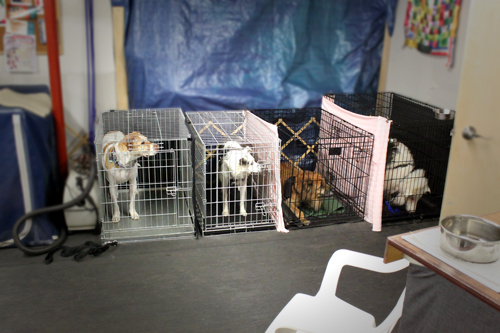 Blue Ribbon Dog Training School – The ONLY Certified K-9 Noseworks School on Long Island! Posted October 21st, 2011 by Administrator. 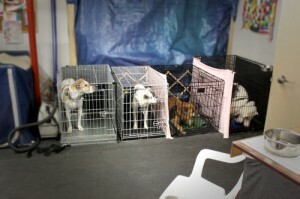 Comments Off on Blue Ribbon Dog Training School – The ONLY Certified K-9 Noseworks School on Long Island!. The expert researchers at Synergy Behavior Solutions in Portland, Oregon have released a statement that says the increasingly popular sport of nosework, in which dogs are taught to locate specific scents hidden in containers, rooms, vehicles or outdoors may help in the treatment of canine anxiety. K-9 nosework can be practiced in small places, making it a wonderful game for apartment dogs with a limited space for interaction. Plus, it’s just plain FUN! Nosework helps to exercise your dog’s mind and body, all while having the time of their life. 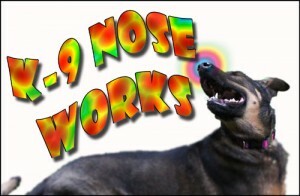 For more information on K-9 nosework classes at Blue Ribbon Dog Training School click here. Remember that Sue Scelzi is the only Certified Nose Work Instructor (CNWI) by the National Association of Canine Scent Work on Long Island!